Whew! We just completed the last of the “must do boat work before we leave” tasks. It has been a really long slog but I feel elated. There are still lots of things to do but now we can leave San Carlos. 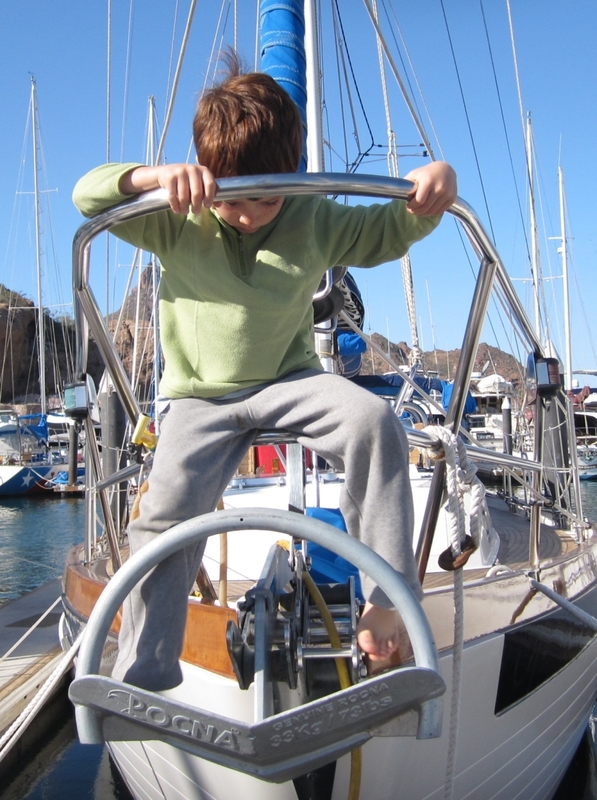 Now we are just waiting for a weather window to cross the Sea of Cortez. At last, today – December 11th - we took the boat out. 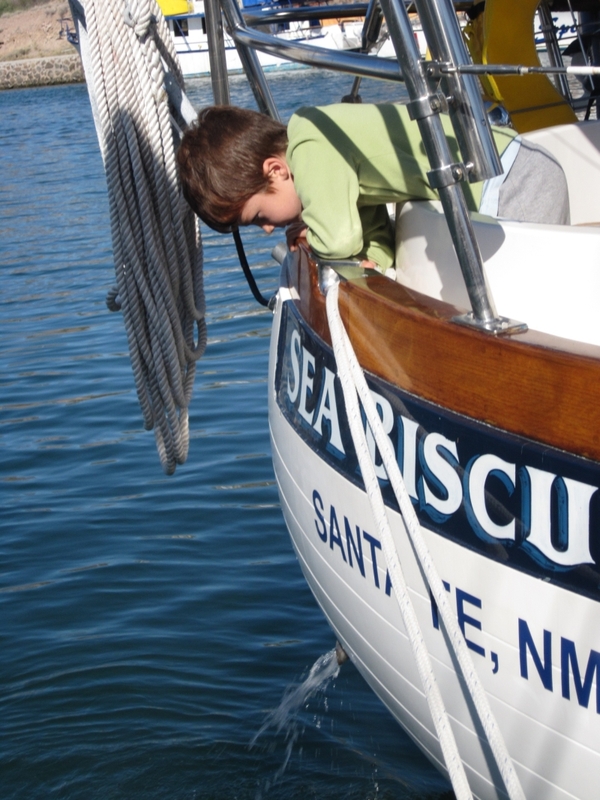 It is the first time Sea Biscuit has been out of her slip since June. The weather was finally warm and we slipped the lines and headed out. We had to swing (calibrate) the fluxgate compass, test the new anchor and the rebuilt windlass, test the new batteries, and be sure the repacked stuffing box stayed cool under a load. It was a nice day, the seas were calm and everything seemed to work perfectly. That was a first. We have been getting used to things being harder than we imagined. It was very good day. We went out to dinner to celebrate. We have been in San Carlos for a bit over three weeks now, since mid November. 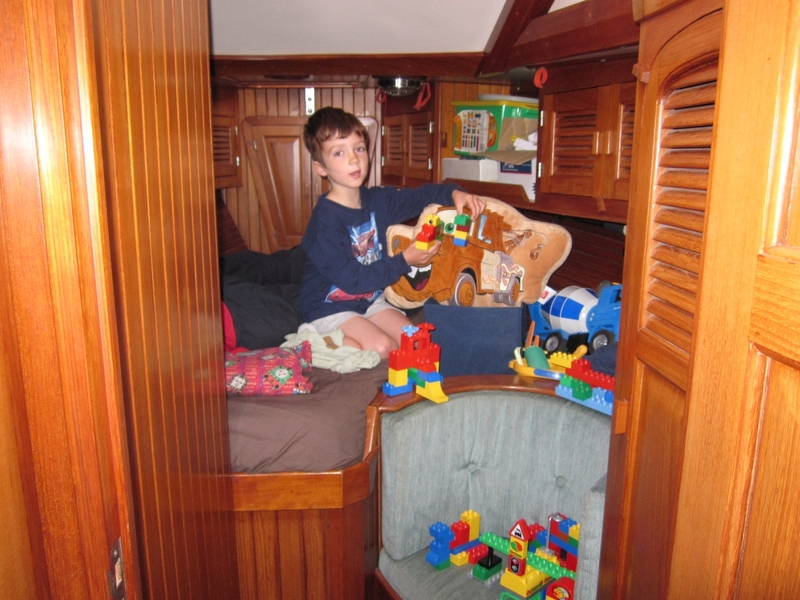 We first had to unload all of our stuff from our truck and put it away on the boat. That took over a week. To make room for our stuff we had to sort through all the stuff that was on the boat from the previous owner and get rid of the stuff we did not need. Once the truck was unpacked, we started on the boat tasks. These included installing the new batteries. Sounds easy, right? Except that the new batteries were not exactly the same size as the old ones so the battery boxes had to be modified. The batteries have to be mounted snugly so they do not move around and so that they will not fall out if the boat gets upside down. 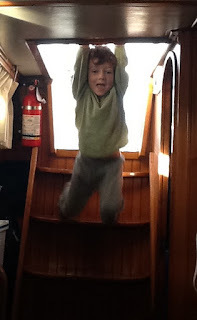 Then I installed a new stern light. It did not just bolt in. I had to rewire it and re-drill the mounting holes. Sounds easy. But the stainless steel mounting bracket was the hardest thing I have ever had drill. I don’t know much about stainless steel but this stuff was really hard. I broke and dulled several drill bits while applying penetrating oil as I drilled- I did not have any cutting oil. 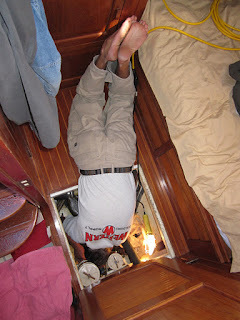 Then I installed a new mast tricolor/anchor light. Then I rebuilt the head and am pleased to say it works really smoothly now. Of all the projects, repacking the stuffing box on the propeller shaft ranked as the worst. It was a nightmare. I hung upside down in the bilge for three days trying to get all the old packing out. The actual repacking was easy once all the old packing was removed. 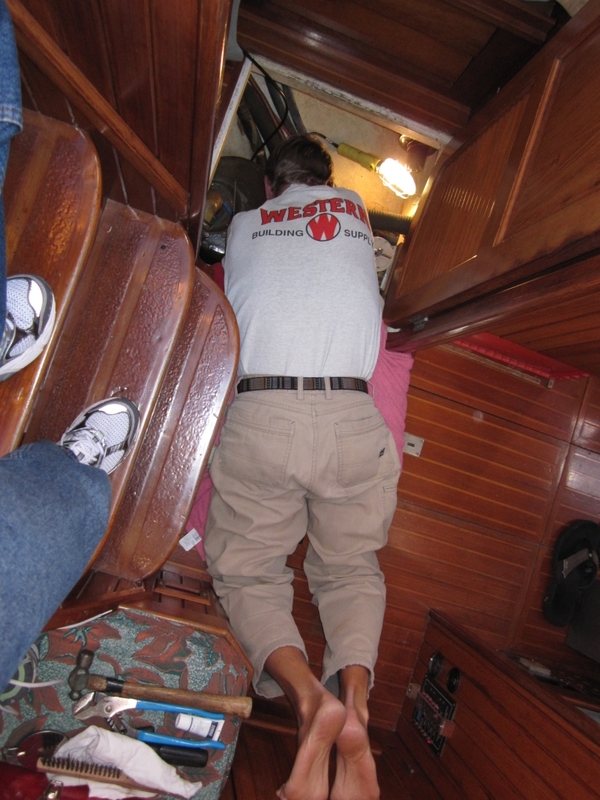 When I was working on the boat in October the first thing I did was put in central air and heat. I had to move the fluxgate compass to install the AC/heat. (The fluxgate compass tells the navigation system our heading. The boat has a traditional magnetic compass too, of course.) Central air and heat has been wonderful to have. We will be able to use it whenever we are at a marina and have shore power. When it was hot in October, I could just set the thermostat, close up the boat to keep the mosquitos and noise out, and sleep comfortably. Lately we set the thermostat at night and the boat stays heated and comfortable all night. While it only gets down to about 50 degrees at night it would be too cold without heat. It is really nice to have heat. 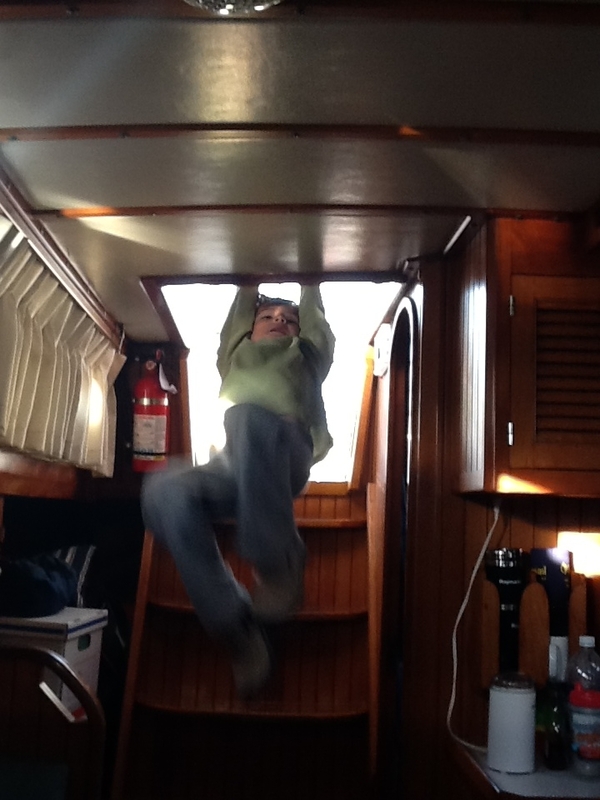 Back in the slip after sailing today I got the SSB email and weather working. When I left in October I thought I had the Pactor modem and sailmail all set up to allow us to get email and weather away from an internet connection. 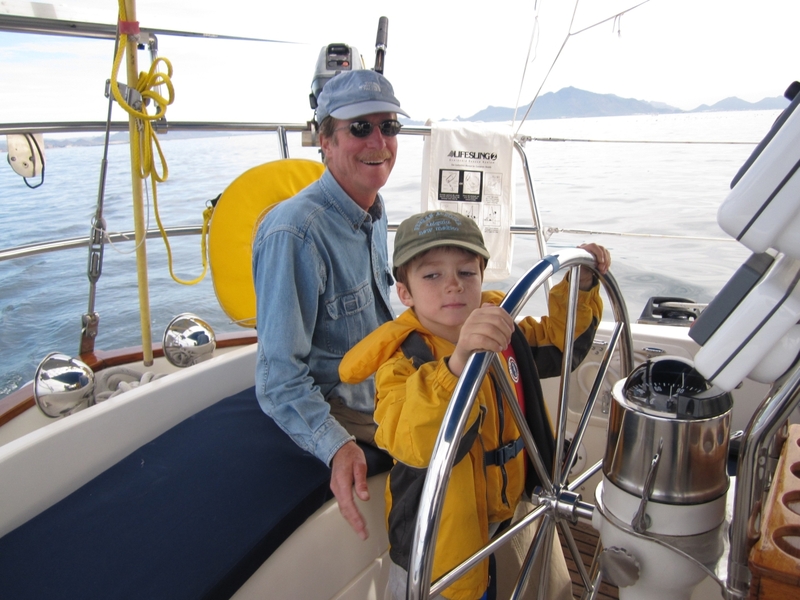 I stopped with the sailmail setup when I had the computer able to control the SSB radio through the Pactor modem. I thought the rest would be easy to complete. Of course it was not. When I went to do the final testing a couple days ago, I could get a connection to a relay station but could not get it to upload or download email. I was starting to think that I needed a new SSB radio. After a couple days of reading manuals and trying things I finally got it to work this afternoon. That was the last must do item. Where are we? Still in San Carlos. If things go well and the weather cooperates, we may go out for a short sail in the next day or two to test all the systems. If the stars are aligned, this coming week we will leave San Carlos - but don't be surprised if we are here a bit longer. The inverter may need to replaced. 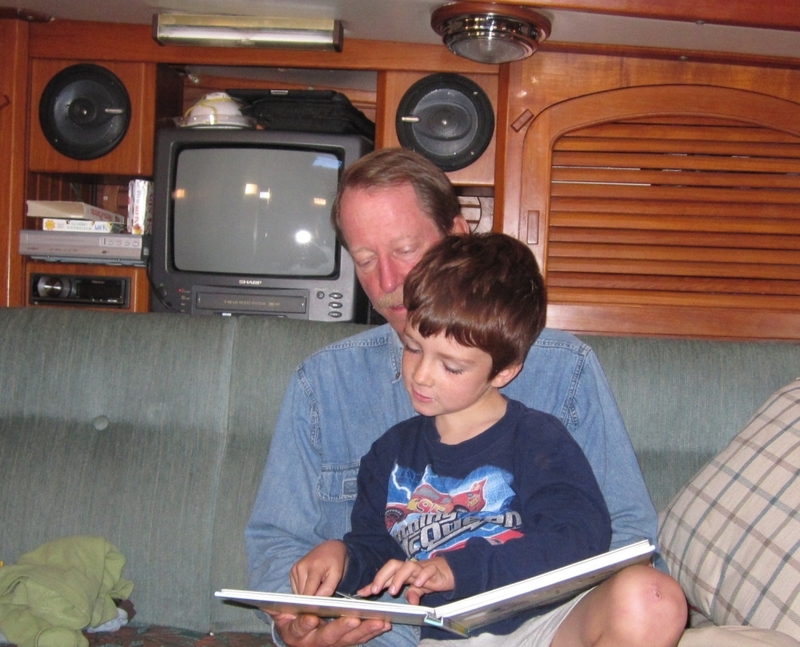 In the meantime, Kyle is having fun, tending to his homeschool studies, and helping Captain Ken (as he likes to call him now). First Mate Kyle checking to be sure the engine cooling water is flowing. 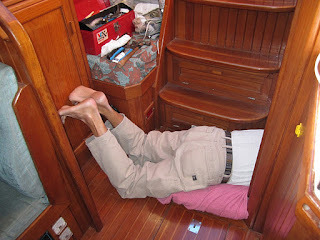 Yesterday Ken rebuilt the head/toilet – a precautionary measure. 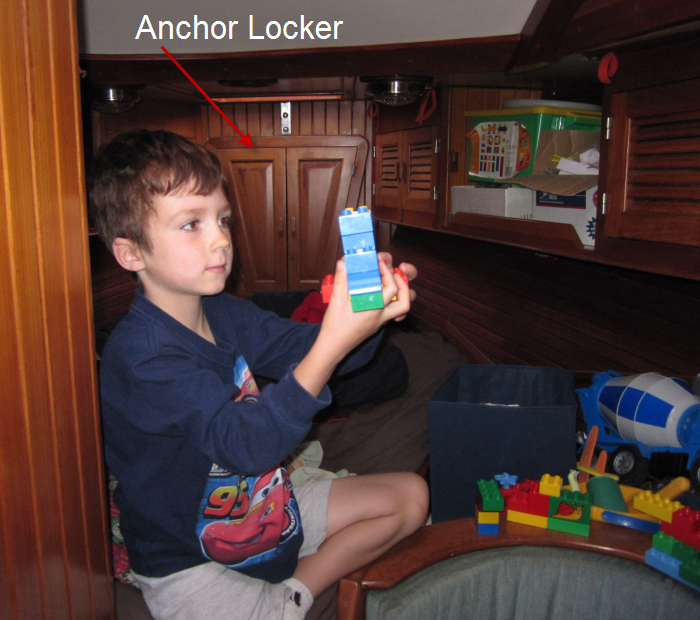 Earlier in the week, he spent three days lying with his head in the bilge. Ken was busy with the arduous task of repacking the propeller’s stuffing box. The hard part wasn’t putting the new packing material in, it was pulling out the old stuffing that had hardened and stopped allowing water to trickle in and cool off the propeller shaft. Kyle now makes his toys pump out the bilge of their imaginary boats when he’s playing with them. Upsides to staying in port: Kyle has had a chance to get many of his toys out, he has met all the animals in marina area (cats, egrets, pelicans, dogs, and bees. He wants to meet the raccoon, but we hope he doesn't), I now know where things are in the kitchen and am getting used to living in small spaces before we add water to the mix.